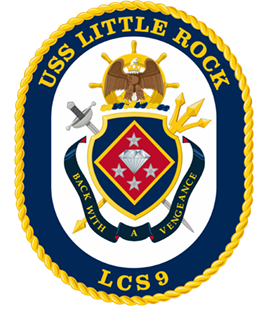 Although the new USS Little Rock LCS 9 and her crew remain in Montreal, routine ship repairs and daily checks are made to ensure the safety of the ship and the crew. The USS Little Rock LCS 9 will continue to be mission-oriented by focusing on training, readiness, and certification. They continue to improve on areas such as navigation, security, and medical assistance. 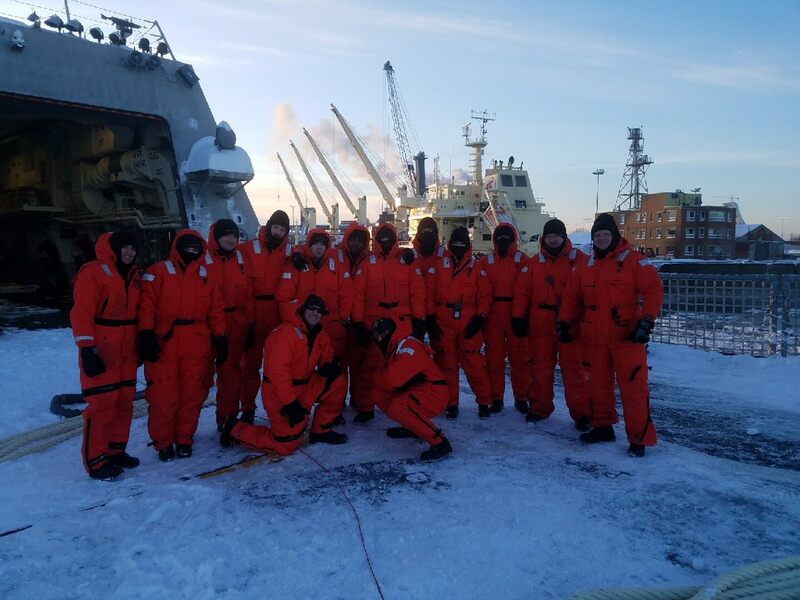 The crew is proficient in their cold-weather protection plan as they embrace the elements of the St. Lawrence Seaway. They are prepared to de-ice in order to reduce the effects of ice accumulation. The crew is strong and courageous as they wait for mother nature to help clear a path. As CDR Todd Peters told the crowd at the commissioning, “Little Rock has everything. She’s sleek; she’s responsive; she’s agile; she’s fast, and she’s deadly.” As soon as the weather clears up the USS Little Rock LCS 9 will be making its through the St. Lawrence Seaway and off to the naval station in Jacksonville.